Everybody knows about using oil as a fuel source, but London is putting a new spin on the concept. Soon the city will be mining its own sewers to bring up glorious globs of old cooking grease and melting them down into fuel. Delicious. 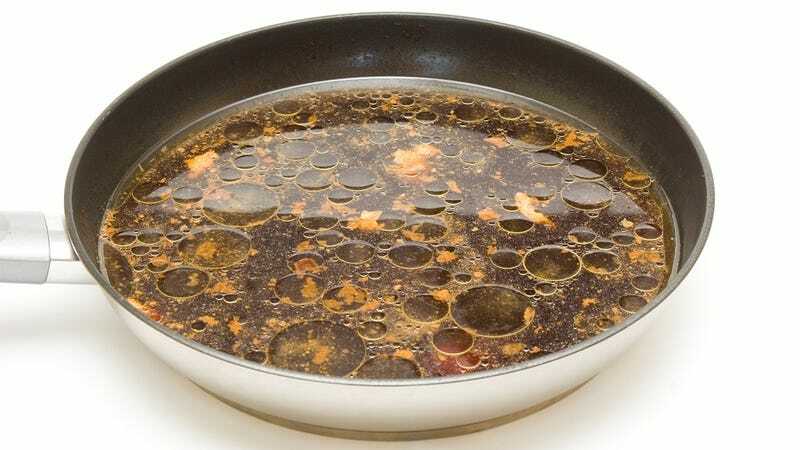 The chunks of fat, oil, and grease build-up—affectionately(?) referred to as "fatbergs"—have been an ongoing problem in London's sewer system. When the waste isn't just clogging up drains, it's making its way down further and clogging up the sewers. But now, a new power station is set to generate 130 gigawatt hours a year from the clogs—enough to power almost 40,000 homes. And that's a good enough excuse to go sewer-grease mining.